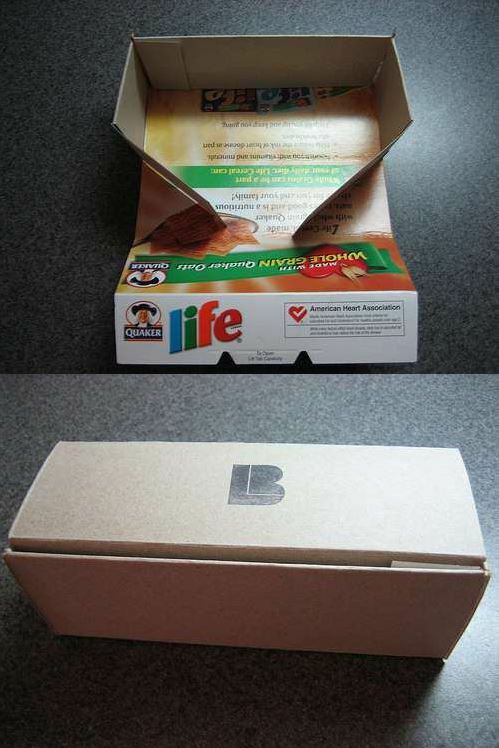 The picture shown shows the box in the ‘raw’ form – and this would be good if you were giving the gift to someone who wouldn’t think it was odd. But – once you have made the box you can unfold it and line top and bottom of sides with wrapping paper and use roll on glue to attach. Make box after drying. This entry was posted in Crafts ~ DIY ~ Projects, ~Birthday, ~Christmas, ~Father's Day, ~Gifts, ~Mother's Day and tagged box, gift, present, recycle, upcycle, wrapping. Bookmark the permalink.